New York, NY (Top40 Charts / UMe/Sony Music Entertainment) NOW That's What I Call Music!, the world's bestselling multiple-artist album series of all time and a joint venture from Universal Music Group and Sony Music Entertainment, is celebrating 20 years of record-breaking U.S. success with a high-profile campaign of special promotions, partnerships, and NOW artist and fan engagement initiatives throughout the year. Today, NOW That's What I Call Music! launches a new 20th Anniversary hub and chatbot at www.NOWThatsMusic.com/20thAnniversary, a vibrant, interactive venue for fans to engage with competitions, music trivia, video, NOW's complete discography, links to stream all NOW albums, and voting for top tracks spanning the U.S. series to be featured on a special NOW That's What I Call Music! 20th Anniversary album to be released this November. NOW That's What I Call Music! has partnered with iHeartRadio for national radio specials throughout the year, saluting the NOW series' two decades of showcasing music's top artists across pop, rock, R&B, hip-hop, and country, as well as popular music's most promising emerging talents. Top NOW That's What I Call Music! artists will be presented with special awards this year, in recognition of their contributions to the series' unprecedented success, and NOW That's What I Call Music! will announce plans for a "NOW Presents What's Next"-branded new artist showcase performance series to launch this year. Inspired by the "NOW Presents What's Next" bonus tracks featured on each numbered NOW That's What I Call Music! release, the live performance series will bring a broad variety of up-and-coming artists to broadcast for NOW-sponsored showcase events. Previewing tomorrow's biggest hits, "NOW Presents What's Next" has introduced more than 150 major developing artists to NOW's enthusiastic, highly engaged audience, including Walk The Moon, Hot Chelle Rae, Hunter Hayes, Capitol Cities, A Great Big World, and Shawn Mendes, among others. NOW That's What I Call Music! debuted in the U.S. in November 1998, following 15 years of multi-platinum international success. 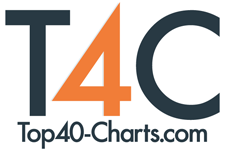 Since then, more than 100 million NOW albums have been sold in the U.S. on CD and digitally, and all 65 of the U.S. series' numbered NOW albums to date have achieved Top 10 Billboard chart success, including 19 Number One albums. Proclaimed "iconic" by Rolling Stone and with other leading media outlets extolling the series' enduring power, including Noisey/VICE declaring, "The NOW compilation is the greatest insight we have into our country's listening habits," NOW That's What I Call Music! 's strong sales history, brand affinity and awareness have also contributed to several successful partner initiatives and releases. Special NOW-partnered releases include NOW That's What I Call Motown, celebrating the legendary label's 50th Anniversary, the Academy of Country Music's NOW That's What I Call The ACM Awards 50 Years album in 2015, and five NOW-presented Disney music collections to date: NOW That's What I Call Disney, 1, 2, and 3; NOW That's What I Call Disney Princess; and NOW That's What I Call NOW Disney Junior Music, released March 16. NOW and NOW That's What I Call Music! are registered trademarks of Universal Music Group and its affiliates. NOW That's What I Call Music! is the soundtrack to your life, available everywhere you are. NOW That's What I Call Music! 66 will be released May 4.